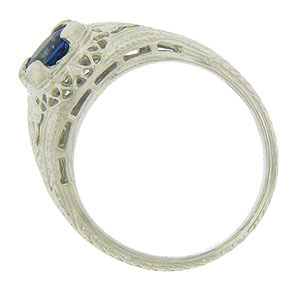 Intricate organic cutwork and engraving adorn the surface of this elegant antique engagement ring. 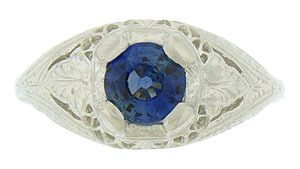 A single deep blue sapphire glows from the face of this breathtaking ring. 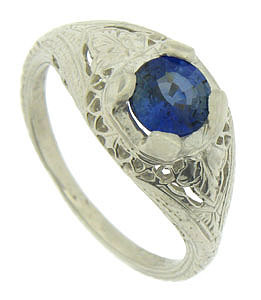 Fashioned of 14K white gold, the Art Deco ring measures 9.76 mm in width. Circa: 1920. Size 7 3/4. We can re-size.